Fuzion4 Ltd are security and electrical experts working in Kent and Sussex. Established for over 30 years, Fuzion4’s security specialists can advise and supply a comprehensive range of security solutions for domestic and commercial premises. Fuzion4 also offer a free survey of your property and will suggest the most suitable type of protection. Group members AB Electrical are also NICEIC approved Electrical Contractors servicing the commercial and domestic markets, please use the link above for more information. "AB Fire & Security have been extremely professional to deal with. They were involved right from the beginning and really took the time to understand our needs before presenting us with a range of tailored solutions." "We have always found them to be very reliable and we were happy with the service we receive. As a result of the security devices the staff, parents and children are much safer, and they feel much more secure, we are very happy with the results." "I will continue to use them for years to come, their service is excellent and they are very well priced in comparison to other security installers in the area. " “From the initial survey and quote right down to the installation and further maintenance, they are brilliant. Their customer service is great as are the products they supply." Fuzion 4 Ltd is made up of the 5 companies which include: AB Electrical, Hastings Locksmiths, East Sussex Security and BeSure Security Systems. Each company within the group trades at least semi-independently and is its own profit centre. 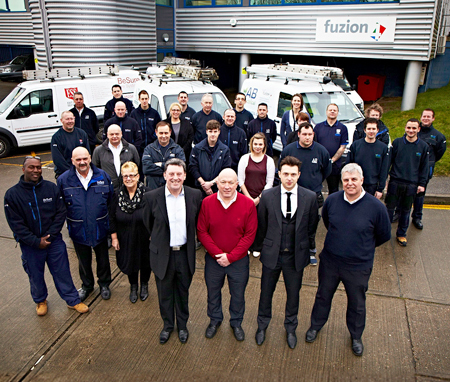 AB Fire & Security are one of the founding members of the Fuzion4 group. AB can supply and install a wide range of bespoke security solutions, including CCTV, Intruder Alarms, Access Control and much more. 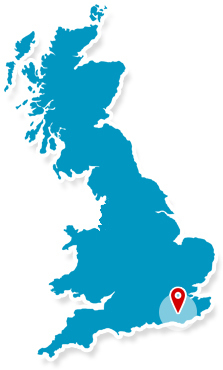 With an army of engineers and staff, AB covers East Sussex and Kent offering a truly tailored approach to security. As part of the AB Electrical & Security Co Ltd group of companies, AB Electrical provide a wide range of electrical services for both domestic and commercial customers. Based in East Sussex, AB Electrical specialise in electrical installations, testing and inspection to long term electrical maintenance contracts. With over 30 years of experience AB Electrical provide quality installations and are registered as NICEIC Competent Engineers. Hastings Locksmiths, another company with the AB Security Group offer a complete range of locks and security products for commercial and domestics premises from their retail shop in Hastings. East Sussex Security are part of the AB Electrical & Security Co Ltd group of companies. Working out of Hailsham, ESS offer efficient and reliable security supply and installation services for both domestic and commercial customers.